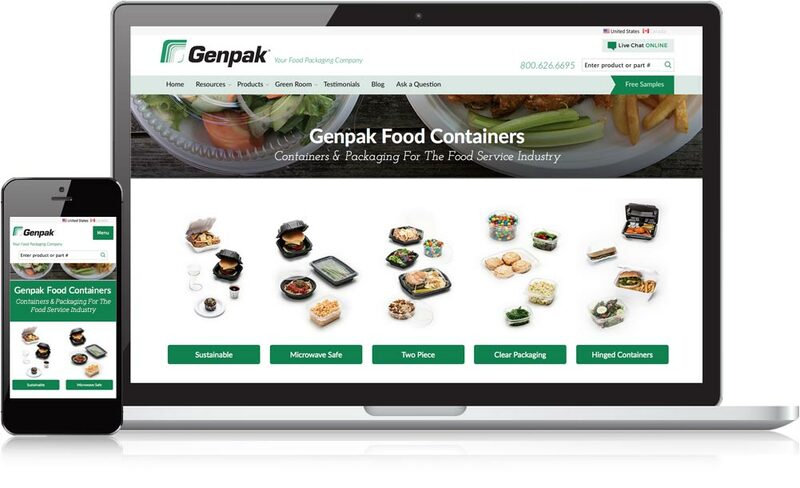 Genpak is a foodservice packaging company based in Charlton, NC. They produce popular disposable dinnerware, carry out containers and custom packaging, to name just a few of their product lines. Mannix Marketing has been running a successful monthly SEO program for Genpak.com. The focus of the program has changed regularly throughout the years to target new product lines as Genpak develops them. With increased buyer attention being paid to environmentally friendly products, Genpak and Mannix Marketing developed a plan to heavily target the Harvest™ line of biodegradable food products. This is not only a growing part of the Genpak business, but also one that Genpak is proud to offer its clients. They agreed on a plan that involved an extensive overhaul of the keywords targeted, onsite optimization, social media and email marketing. Genpak.com was all ready faring well in the search engines when the focus of the search marketing campaign was shifted to concentrate more heavily on biodegradable product lines. The site’s core products were consistently appearing in the SERPs for searches performed by current and potential Genpak clients. That some of this core traffic would decrease was a calculated risk inherent in shifting the focus of the campaign. But by developing a sound SEO plan that concentrated on the new areas of the website, Genpak.com was able to achieve more traffic than it ever had before, consisting of a good mix of core-product customers and biodegradable product line clients. After six months targeting the biodegradable product line, results for Genpak.com keywords on page 1 of the major search engines increased 24%! Mannix Marketing is a pleasure to do business with. Sara and her team are professional and get the job done right.